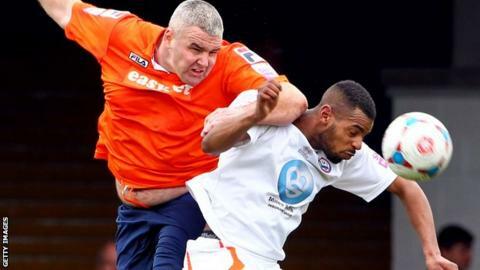 Luton Town defender Steve McNulty has agreed a permanent deal with National League side Tranmere Rovers. The 32-year-old, who has been on loan at Prenton Park since 19 October, has signed a contract until the end of the 2016-17 season. McNulty will complete his move when the transfer window reopens on 2 January. "He's a leader, has experience of promotions out of this league and has done really well in the last couple of months," said Rovers boss Gary Brabin. McNulty has scored one goal in nine league appearances for Tranmere, who are currently eighth in the National League table.